With a sunny weekend ahead, a good ice recipe will always fit! 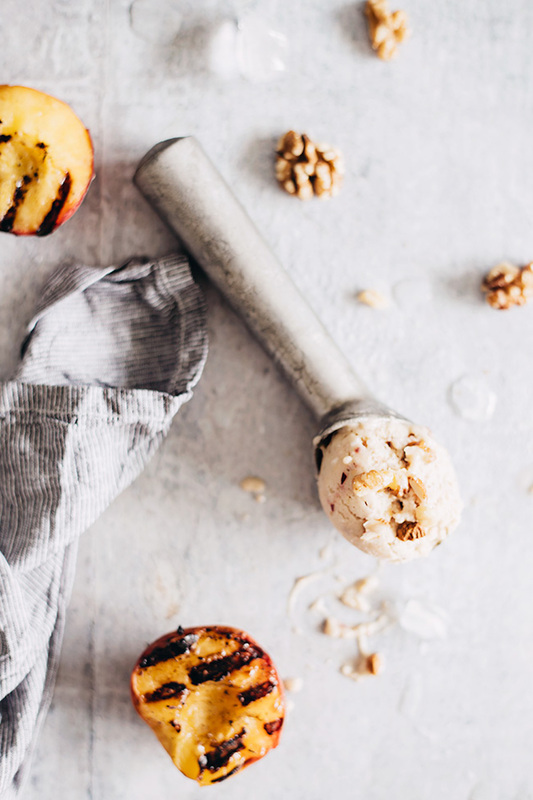 And this creamy peach and walnut ice cream looks delicious right? We love the simple base of this ice cream recipe, because you actually don't need to do anything but freeze some ingredients, then add to the food processor and freeze again. Of course you can add some extra flavors, but if you want to keep it simple, the base is delicious on its own and you can make in only a few minutes. We especially love the idea of using bananas for creating the base, because you don't need to add any kind of sweetener. Clean, healthy, and delicious! Find this yummy recipe at Theawesomegreen.